Tokyo, Japan - Sony Corporation ("Sony") is announcing the commercialization of a new 2.45 effective megapixel CMOS image sensor for automotive cameras, the IMX390CQV type 1/2.7. Sony will begin shipping samples in May 2017. This image sensor is equipped with an LED flicker mitigation function that reduces flickering when shooting LED signs and traffic signals, as well as an HDR function capable of 120dB*2 wide dynamic range shooting. The IMX390CQV is the first*1 in the industry that can simultaneously mitigate LED flicker and shoot in HDR, a capability made possible by Sony's original pixel structure and exposure method. It also offers high-sensitivity performance capable of producing high-quality color images even in light conditions as low as 0.1 lux, which is equivalent to moonlight. In recent years, LEDs have been widely adopted for traffic signs and signals, and also for car components such as headlights and brake lights. Another trend has been the need for automotive cameras to be able to capture high-quality images with a wide dynamic range, even in situations of dramatic contrast, such as when entering or exiting tunnels during daylight hours. This image sensor simultaneously uses both the LED flicker mitigation and HDR functions to deal with these types of situations, providing more precise recognition in the diverse real-world traffic environments that drivers encounter. *2:In accordance with the EMVA1288 standard. 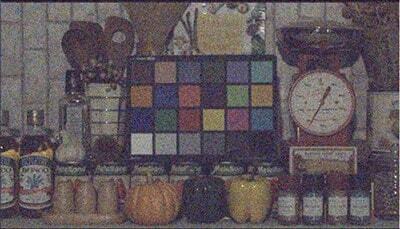 The dynamic range is 110dB when using the HDR function and LED flicker mitigation function simultaneously. **1:In addition to IMX390CQV (RGGB Filter), IMX390CPV (RCCB Filter) is scheduled to be newly added to the line-up(Mass-production shipments to commence in August 2018 Mass production shipment timing is to be determined***1) (Revised on February 28, 2018). **2:Mass-production shipment date of IMX390CQV is rescheduled due to the addition of IMX390CPV (Revised on February 28, 2018). The IMX390CQV is planned to meet the requirements of the AEC-Q100 Grade 2 automotive electronic component reliability tests this fiscal year. Moreover, with this new product, Sony also introduced a development process that complies with ISO26262 automobile functional safety standards, aiming to achieve a high level of design quality for an automotive product. The new sensor also meets the functional safety requirement level ASIL C. By meeting these standards and quality requirements for automobile components, the product is ready for use in forward-sensing cameras for Advanced Driver Assistance System (ADAS) and cameras for Camera Monitoring System (CMS) that show persons and obstacles on an in-car monitor with clear visibility, an application expected to grow as a substitute for conventional rearview mirrors. This image sensor uses original Sony pixel structure and exposure methods to achieve the industry's first*1-ever simultaneous LED flicker mitigation and HDR functions. LED signs and the LED lights of cars in front and behind the vehicle can be accurately recognized while enabling wide dynamic range image capture with no highlight blowout or loss of shadow detail in situations of dramatic contrast, such as when entering or exiting tunnels. In recent traffic environments, LEDs are often used for traffic signs and signals as well as automobile headlights and taillights. This means that automotive cameras must be able to capture these elements accurately. However, due to the fact that LEDs flash repeatedly at a very fast rate, which is normally unnoticeable to human eyes, when caught on camera they can generate an effect known as LED flicker. The LED light captured with the average CMOS image sensor often exhibits flickers, which impairs accurate recognition of signals and surrounding automobiles. Sony's new image sensor has addressed this issue by making the exposure time longer than the LED flicker frequency, thereby minimizing the likelihood of flicker. Note:Mitigates LED flicker from LED light sources (frequency > 90 Hz) stipulated in EN12966. Automotive cameras must also be able to capture clear overall images with minimal noise, no loss of shadow detail, and no highlight blowout, even in situations of dramatic contrast, such as when entering or existing tunnels in the daytime, or driving in urban areas at night. The new image sensor features an original Sony pixel structure and exposure method that delivers an HDR function capable of 120dB*2 wide dynamic range shooting with low noise. 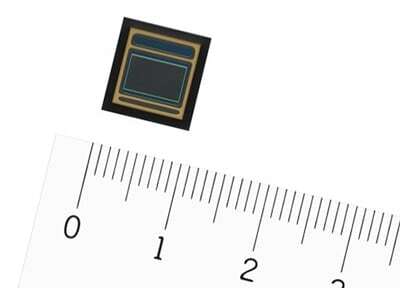 The new image sensor is equipped with circuits possessing improved efficiency when converting electronic signals received from photodiodes to voltage signals. This delivers the highest sensitivity, approximately 1.5x that of conventional*3 image sensors for 2.0 megapixel class automotive cameras (according to Sony research). This capability enables the sensor to capture high-quality color images even in light conditions as low as 0.1 lux, which is equivalent to moonlight, enhancing camera reliability in rendering obstacles and persons. Additionally, Euro NCAP, an organization involved in automotive safety rating in European countries, has decided to include nighttime pedestrians as targets for automatic braking collision avoidance systems in 2018. Going forward, this will drive increased demand for high-sensitivity, high-quality image capture capabilities in the automotive camera market. *3：When compared with Sony CMOS image sensor IMX290 for automotive applications.